ITunes U teams up with Ohio State University veterinarian, Dr. Tony Buffington, for an eye-opening look at indoor cats...and the humans who love them. What if you could cure your indoor cat's behavioral problems, like going outside of the litter box, for example, by simply getting to know and understand your feline companion a bit better and "enriching" your home's environment to satisfy your cat's instinctual behaviors? That's exactly what Dr. Tony Buffington, a veterinarian and professor at The Ohio State College of Veterinary Medicine demonstrates in his new Ibook and course, Cat Mastery. Most importantly, his theories are backed with over thirty years of observing cats and documenting his findings in hundreds of scientific studies and papers. What he has to say about our feline friends will astound you! 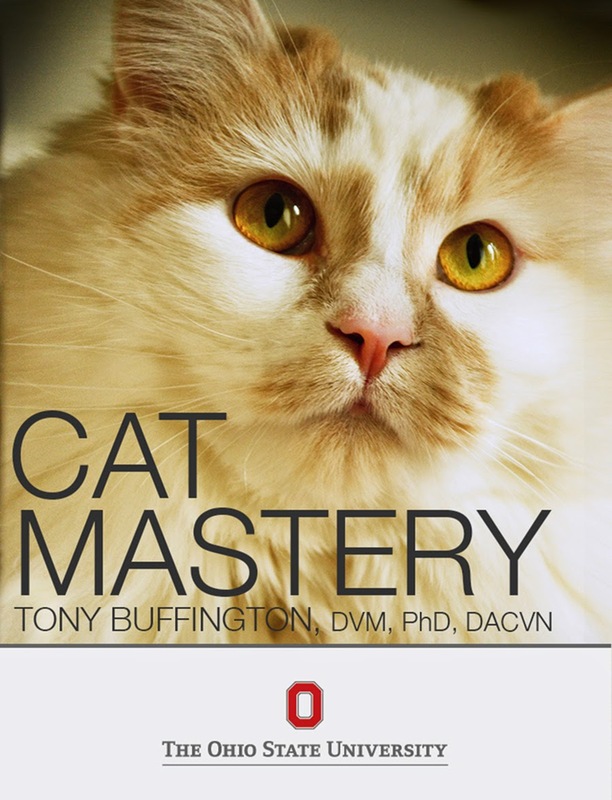 We recently had the pleasure of chatting with Dr. Buffington about Cat Mastery and his research, and are thrilled to bring you excerpts from our conversation and highlights from the book. We think Cat Mastery is a real game changer and recommend that all who are owned by cats put it at the very top of their reading list. 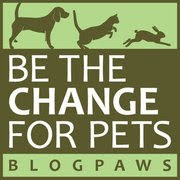 We all want to improve our standard of living, and that's exactly Dr. Buffington's mission: To improve the standard of living for both cats and their owners. The bottom line problem with indoor cats is that they're captive animals, akin to animals in a zoo, and their environment should be enriched to mimic that of their natural habitat, and allow them to freely exercise their instinctual behaviors like scratching, hunting, climbing and resting on high perches or other "safe" areas. "Your home is their territory," says Buffington, and a cat's "Telos" or "what it is to be a cat" (a solitary hunter of small prey, who is also prey for larger animals), is different enough from humans to make our environment or home sometimes feel threatening to them. Zoos, for example, have been providing natural habitats and enrichment, like food foraging, toys and puzzles, for many years, resulting in much improved lives for their captive animals. 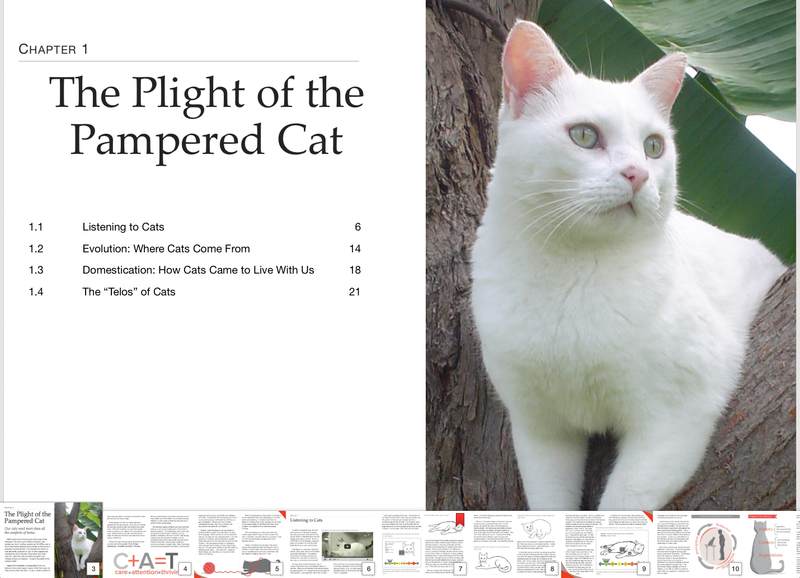 The paradox of the indoor cat: Safer from prey, accidents and disease, but perhaps damaged from being captive in an environment designed for humans: Chapter from Cat Mastery, an interactive book and course, available now on the ITunes store. Buffington's fascination with cats started serendipitously when he was assigned an advisor in vet school who was studying feline nutrition. The veterinarians also were studying what appeared to be signs of lower urinary tract disease in cats, including blood in the urine, straining and urinating outside of the litter box. With a grant from the National Institute of Health, they took in cats from owners who had planned to euthanize them for health and/or behavioral issues, and found that "the bladder wasn't the cause of the problem—it was a symptom of something going on somewhere else," says Buffington. Their physical tests showed no evidence of urinary tract problems. In fact, when most of these cats were introduced to the existing cat colony, "they were fine." Their subsequent research demonstrated that about 90% of the time, "you could get rid of the [urinary tract] symptoms by changing the environment." It gets even more interesting: It seems that in some cats, "a particularly powerful [outside] event can change gene expression," making a cat much more sensitive to her environment— that's what often happens to both cats and dogs when they're in a shelter environment. And environmental enrichment is one of only two treatments, besides drugs, that can manipulate gene expression. Because shelter animals are more likely to have their genes affected by a traumatic event, they are most in need of environmental enrichment. The interactive format of both Cat Mastery and its accompanying ITunes course facilitates the ordinary pet owner's understanding of their cat, and in turn, the best ways to enrich their home environment to suit their individual cat's needs. The book includes drawings, videos and recorded questions and answers from Dr. Buffington, interspersed among the text, and uses the latest technology available through Ibooks to enhance the learning experience. Eventually, as photo catalogues are compiled, cat owners will be able to search an online database for information about what a "happy cat" looks like, versus, say, a "scared cat". One of Cat Mastery's interactive modules, shown below, allows a person to see the changes a cat undergoes as she moves from relaxed to frightened. Cat parents already know that you can't force a cat to do anything, and Buffington advocates giving the cats in your life choices; for example, if you want to introduce a new litter box, place the new one next to the old one and let your cat show you her preference. One of the biggest takeaways from his research, says Dr. Buffington, is that "Force is not required to achieve learning"—not for cats or humans. Cat Mastery brings you ground-breaking science written for the layperson, infused with interactive technologies to help all cat parents learn how to shape their home environments to benefit both their cats and themselves. A hearty thank-you to Dr. Buffington for this fascinating Ibook and course...and for his time and patience during our conversation! Sounds like an interesting read for cat owners. We agree a must for cat owners. Have a terrific Tuesday. Thanks Joan! Very informative. 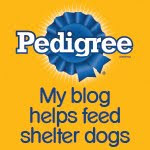 As a cat parent of two, I highly recommend this iBook and as always, your amazing blog.